The loss of a loved one can be a very emotional and difficult experience that can be compounded if it’s believed that the decease occurred as a result of another person’s gross negligence, which may include actions or inaction. Wrongful death lawsuits can be filed in cases where “the death of one is caused by the wrongful act or omission of another,” according to Indiana law. Generally speaking, wrongful death cases are very similar to personal injury lawsuits, with the exception that the situation involves injuries that led to a fatality. 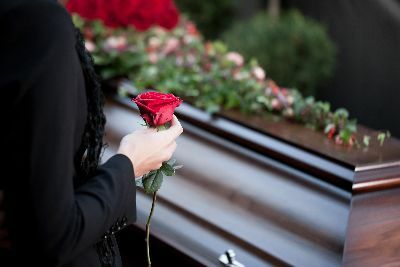 The decedent’s estate and family members can file a wrongful death lawsuit, seeking compensation for losses such as burial expenses, loss of consortium and beyond. The legal team at Tuley Law Office is available to represent you and your case. 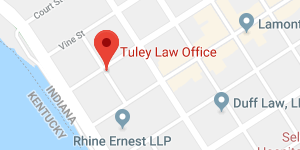 The practice was founded by Attorney Daniel Tuley, who has more than 30 years of experience serving clients, including clients in Evansville, Indiana and the surrounding regions. Wrongful decease attorneys are available to discuss your case, but you must act soon because the law limits the length of time you have to file a claim. If you lost a loved one due to another person’s negligent actions or inactions, contact Tuley Law Office for a no-cost consultation session by calling (812) 434-1936. Wrongful death lawsuits can vary significantly from state to state, as each region has its own rules and regulations concerning how to proceed. As a result, our legal team gets many questions concerning an Indiana wrongful death lawsuit. The attorneys and legal team at Tuley Law Office see the following inquiries on a frequent basis. What Happens When You File a Wrongful Death Lawsuit in Indiana? Wrongful death attorneys can file a civil claim if your case is considered viable. The first step is usually a free consultation session, where the attorney reviews your case and learns about the basic facts. Once the wrongful deceaselawyer agrees to take on the case, he or she will begin collecting evidence, depositions and conferring with medical professionals or other experts who can provide what is called an expert testimony. 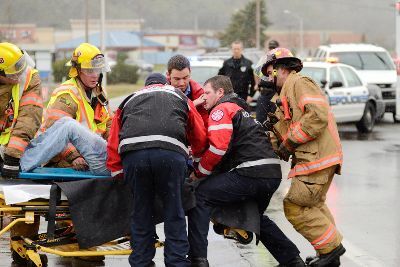 to prove that damages occurred as a direct result of the death. Notably, negligence can take many different forms. In some cases, inaction can be considered negligence, while in other cases, it’s the person’s actions that could be considered grossly negligent. What if There’s Already a Criminal Case Underway? Many incidents that lead to a wrongful deceasecase are also associated with criminal court proceedings, but it’s important to understand that civil and criminal proceedings are totally separate. The burden of proof is different too; whereas the criminal courts require proof beyond a reasonable doubt, civil courts require proof based upon a preponderance of the evidence, meaning that the evidence suggests that it’s more likely than not that the allegations against the defendant are true. How Long Do I Have to File an Indiana Wrongful Death Claim? In the state of Indiana, wrongful death lawsuits must be filed within two years of the decedent’s date of death. If you do not take action within two years, then the court will usually refuse to hear the case. There are some exceptions, though. For instance, if someone intentionally concealed evidence of the act of negligence that led to the wrongful decease, then the court may agree to hear the case even after the two-year period that’s mentioned in the statute of limitations. What Kind of Compensation Can I Get if I File an Indiana Wrongful Death Lawsuit? There are a number of damages for which you may seek out compensation, including burial and funeral expenses, any medical bills that were incurred prior to the party’s death, wages that the individual would have earned and legal fees. In the case of a child’s death, the parents may also seek damages for the loss of companionship and love, along with counseling expenses. Indiana typically caps wrongful death damages at $300,000. How Much Does It Cost to Hire a Wrongful Death Lawsuit Attorney? The wrongful deceaselawyers of Tuley Law Office typically take these cases on a contingency basis, meaning that there is no retainer fee. Instead, the attorney takes a percentage of the funds that are recovered. The exact percentage and amount varies according to the amount of work required in the case. For instance, a smaller percentage is usually taken in a case that’s resolved out of court with a settlement, while a more time-consuming case that goes to trial can be associated with a higher fee. Notably, legal fees are often included in the damages. So it’s not uncommon for the other party to pay for your legal expenses as part of a settlement or jury award. The attorneys of Tuley Law Office work to secure the compensation you deserve for the loss of your loved one. Sadly, no amount of money can bring back a loved one but a settlement or jury award can help a decedent’s surviving family members to cover the many expenses that would otherwise be a burden. Our attorneys are committed to helping you get the compensation you deserve for the loss of your loved one. So if you’ve lost a loved one and believe you may have a viable wrongful deceasecase, contact the experienced legal team at Tuley Law Office. Our attorneys are available to provide a confidential, no-cost case consultation session. Call (812) 434-1936.